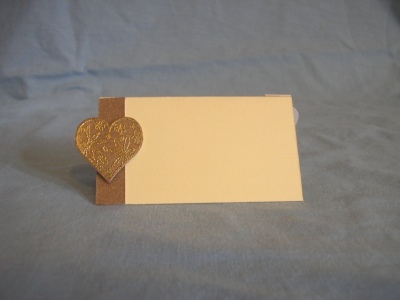 A cream card place name with a brown pearlescent panel containing a brown pearlescent heart which has been embossed with gold. Your guests names can be printed onto place names if required. A sample is available.